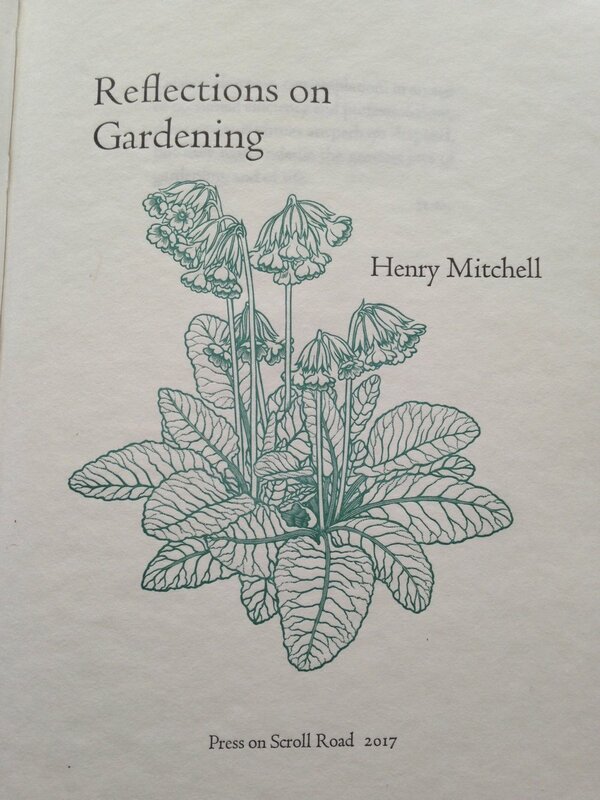 Essays by Henry Mitchell. The text was composed in Cloister Lightface types and then printed on paper made by hand at the Morgan Conservancy. The six engravings are by Abigail Rorer and the binding by Priscilla Spitler. 10.5" x 7.375", 32 pages, in an edition of fifty copies and a prices of $200.00. 2017.